We’re not just your Ellesmere Port MOT specials at Car Clinic MOR Centres: We also sell and fit tyres from all the leading brands, including Landsail tyres. Quality, technology and confidence: they are the qualities that run through the treads of every set of Landsail high-performance tyres. Even in demanding conditions, Landsail tyres let you feel the difference. Landsail tyres offer a combination of efficiency, durability and high performance. Landsail set new benchmarks for quality and value, combining state of the art engineering with more than 80 years of experience in manufacturing tyres with the latest technology. Landsail’s passenger car tyre range is made up from three patterns – each one manufactured with their advanced silica compound. Thanks to this compound, Landsail tyres offer a balance between all-weather performance, durability and better fuel efficiency. 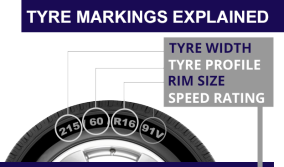 The growing range of Landsail tyres is geared towards meeting the needs of the SUV category. There are three different SUV patterns on offer, in sizes from 16” to 24”-. Landsail SUV tyres are tried and tested to offer exceptional performance in even the most demanding applications. Landsail’s commercial van tyres are designed to provide exceptional longevity and durability. All Landsail van tyres are made with a reinforced casing that makes them exceptionally strong to perform well on rugged surfaces. Loss of pressure is not a problem, with Landsail run-flats. They combine Landsail quality with VMI Exxium technology, to give you complete peace of mind and the confidence to keep driving after a puncture. When the temperature falls you can rely on Landsail winter tyres. Their tread compounds are designed for cold conditions, with advanced groove patterns and better traction –so you are ready for even the most extreme winter.